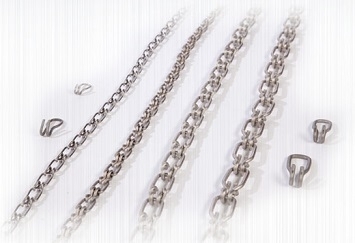 The Roto Link is a one piece, stainless steel, universal link designed to connect loose ends of Lock Link Chain when used in conjunction with our Roto Hammer Chainwheel Actuators. This prevents the hassle of cutting and twisting chain to close the loop. Simple installation can be accomplished with either vise-grips or pliers used to close the open ends around the next link of chain. Roto Links are made of T302 annealed stainless steel for its non-corrosive properties.